Copyright 2013. Dogs Unlimited Rescue. All rights reserved. A 501(c)3 Non-Profit Animal Welfare Organization. "We differentiate ourselves by providing animals in our rescue with only quality care and even though it may be costly, these animals deserve nothing less and that is why donations are so vitally important. Our vetting is very costly along the with other related expenses (rehabilitation, training, etc.) of the animals in our rescue." Dogs Unlimited Rescue, Inc. is an all-volunteer, non-profit, 501(c)3 organization that is dedicated to educating the public and saving abused and neglected animals from an uncertain fate. Our organization rescues animals from high kill shelters, hoarding situations, abuse or neglect cases, owner surrenders, and the breeding parents in Ohio puppy mills that would otherwise be inhumanely disposed of. 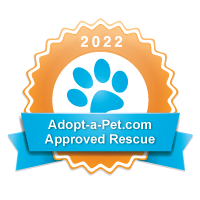 We will continue to educate, rescue, rehabilitate and encourage the adoption of pets from shelters and rescue groups. We are small but mighty.. In seven years, we have rescued over 800 dogs! MANY with special needs and extreme cases no one else would touch. ​If there is a need, we do not hesitate to put our rescues through Puppy Kindergarten, Household Obedience 1 & Household Obedience 2 classes. Our bully breeds receive their CGC (Canine Good Citizen) & TDI (Therapy Dog International) certifications. Average cost of a rescue dog is $400-$500 for a normal dog. have a shelter and are ALWAYS in need of quality foster homes.